Scribble Junkies: Jamie Hewlett sketches.. The man. 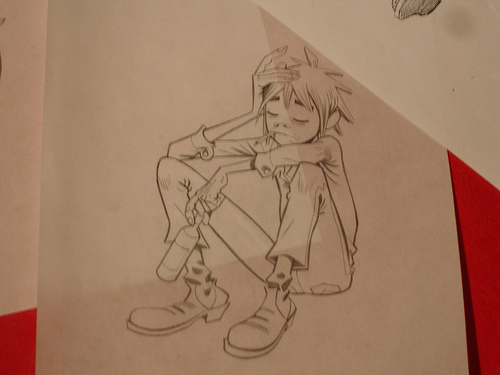 Of course.. Jamie Hewlett is hardly a surprising influence of mine, and many other artists. Particularly, I love his sense of cartoon design, how he stays away from the bulbous cartoonyness or overtly "shaped" designs that dominate animation today. 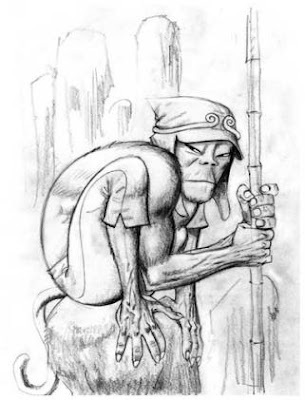 MTV "Downtown" creator Chris Prynoski is a buddy of mine who is also heavily influenced by Jamie, and I can name several other animators whose work is directly effected by Hewlett's drawings. I've always believed that illustrations that rely too much on design are compensating for the inability to draw using the principles of weight and space. Jamie's drawings just look so damn good, a nice balance between detail and minimalism, graphic inks with traces of organic hand drawn line. I got the book "rise of the ogre" for my bday years ago, and i'm still picking it up almost daily. it's a bit of a strange read, but worth it for the gorillaz artwork alone. He's one of the best artist i ever know and that i appreciate ! 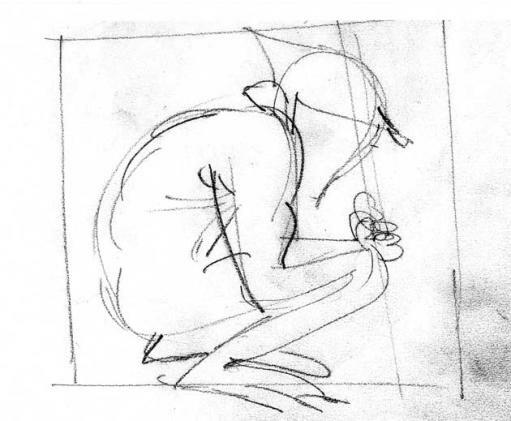 His style and approach continue to fascinate me and I always find myself coming back to his drawings for inspiration. And I agree - he's got a great mesh of simple mixed with wildly fun detail.